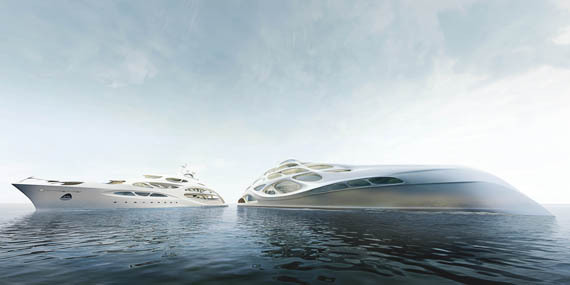 Iconic architect Zaha Hadid has produced these amazing new superyacht designs for Blohm+Voss. The concepts, in 90-metre and 128-metre forms, highlight curves over sharp angles and also make use of a skeletal superstructure rather than traditional forms. One of the implications of the exo-skeleton design can be seen in the 90-metre concept, dubbed ‘Project Jazz’ (above): a blurring of the relationship between inside and outside environments on board. 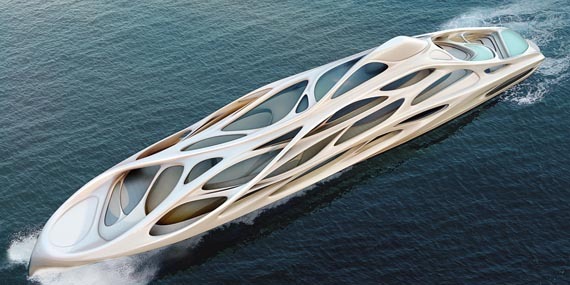 “The exterior is already part of the interior with the exo-skeleton design,” Aly says. “She understood that the concept has to be sellable, and she liked the idea of partnering with a yard which is known for exclusive one-offs. 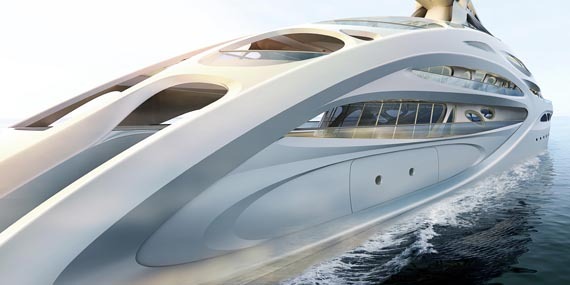 It’s a unique design and it won’t be for everyone, but there will be someone out there who wants a yacht designed by Zaha Hadid,” he says.